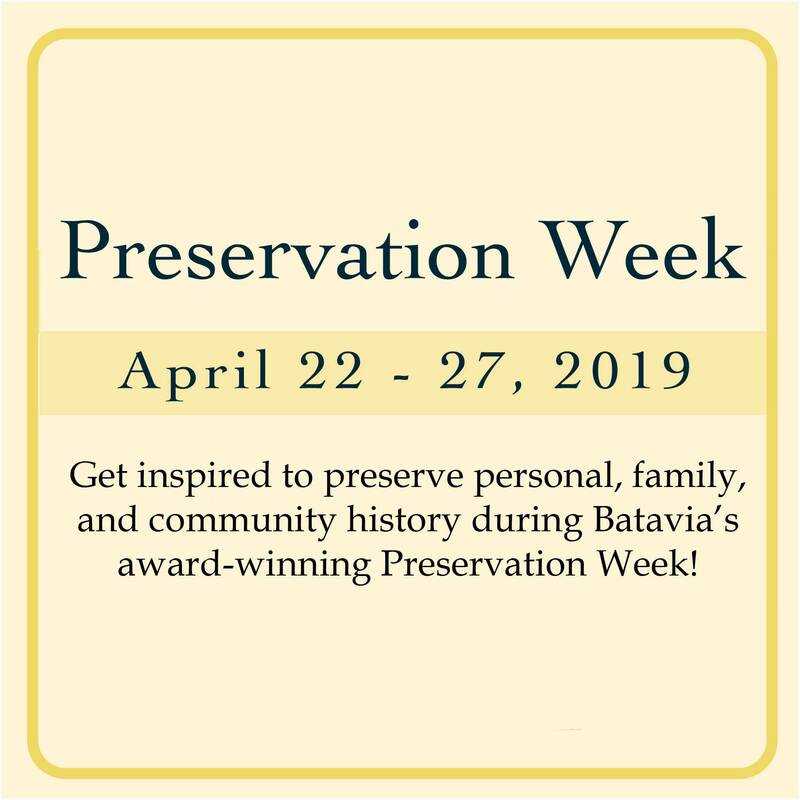 Get inspired to preserve personal, family, and community history during Batavia’s award-winning Preservation Week! 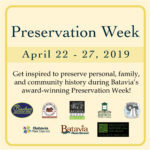 Batavia is home to many organizations that are dedicated to preserving and celebrating the unique qualities of our town, and we are working together to bring you an amazing week of preservation-minded events. During this week, you can learn more about how to research your home, take a walking tour of downtown, reminisce with other Batavians and even enjoy a history oriented pub crawl! This program was the recipient of the Award of Excellence from the Illinois Association of Museums in 2018. 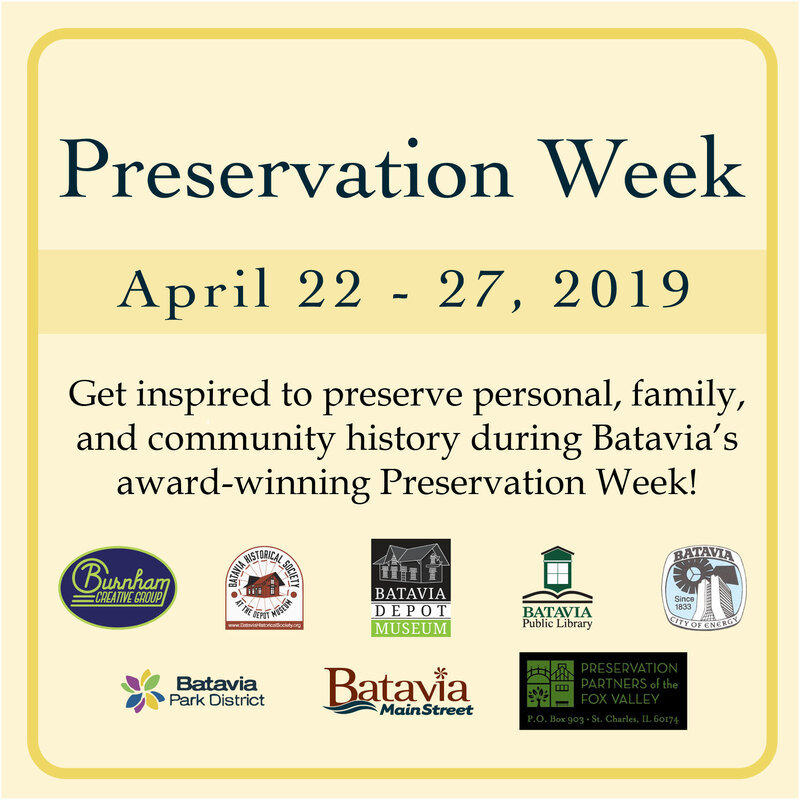 For more information on the events for the week, please check out Preservation Week 2019 where you can find a complete listing of events information about registration. Questions? Call Jennifer at the Depot Museum at 630-406-5274.